Given that poetry contributes the great majority of the words to the half of the Parlando Project “Where Music and Words Meet,” it’s reasonable to suspect, if you are reading this, that you like poetry. That’s too bad. Even during the National Poetry Month and #npm17 that were are talking about this April. You see, poetry is often a frustrating thing. That high-flown language may be artful, but it’s an earful too. If you were seeking directions to escape some emergency, would you want your rescuer to choose the most precise and beautiful words, words that say more about what a clever speaker your rescuer is than about which way you must turn and where the dangers are? Do you love the dense allusions and surprising metaphors of poetry? Do you admire the narrative fracturing and careful examination of the shattered facets that expose the common lie of ordered stories? The next time you are searching for how to work some complex gadget or system, do you want your tutorial or manual to scatter its tale in novel ways? Speaking of too simple statements, here’s one: that there are people who simply like poetry. No, most people who like poetry sometimes, hate poetry sometimes; just as most people who like music, hate music sometimes. The intensity of the like times does not decrease the intensity of the hate times. I think it’s important that poetry tries to capture the allusiveness of things. I continue to admire some poems I don’t really understand—that’s what the music is for, both the poem’s own music and the external music we apply to the words here at the Parlando Project. But there are times when you just want a poet to come out and say what they’re getting at. The words to today’s episode, by William Butler Yeats, are clear in their meaning. “To A Friend Whose Work Has Come To Nothing” is an example of “occasional verse,” a poem written in response to an event. In this case, almost everyone has forgotten the event, but the sentiments of the poem apply broadly anyway. Yeats has such a musical way of expressing himself, he could have flown off on some obscure path and we might have followed him anyway. As it turns out, the things he leaves out here, the particulars of the dispute, probably help the poem survive as a general piece of council. Still, I’m a curious and literal sort. Who was the “Friend Whose Work Has Come To Nothing,” and what was the work? 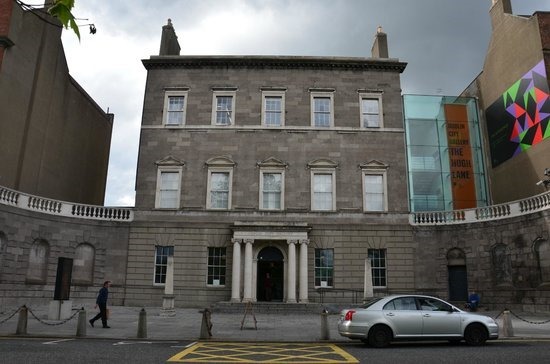 It was written about and perhaps to a man named Hugh Lane who wanted to donate his substantial modern art collection to a museum he proposed that Ireland should fund. And the man who would lie unashamed to oppose this? 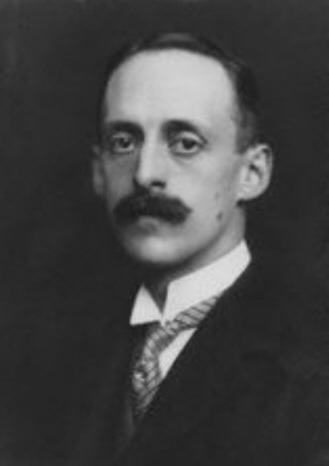 A newspaper publisher who opposed the gallery. Yeats gave him good advice, but he didn’t tell him to not get on that boat. What happened to Hugh Lane, whose work had come to nothing? About a year after Yeats wrote this poem, Lane went down when the Lusitania was torpedoed during WWI. And his art collection? His will seemed to leave it to the British National Gallery after his proposal to fund the Irish museum failed, but Ireland disputed this will, and later in the 20th Century, after Lane’s and Yeats’ deaths, Lane’s collection was again on display in Dublin Ireland. So eventually, in prosaic history and after the work of some lean solicitors, Lane’s work succeeded. Today’s audio piece is brief, so take a listen to the LYL Band performing “To A Friend Whose Work Has Come To Nothing” by clicking on the player below.